Czech soldiers were carefully carrying the coffin containing the human remains of Cardinal Josef Beran. His remains arrived here at the Kbely airport in the Czech capital Prague from Saint Peter's Basilica in Vatican City. He had been buried there in a particular privilege usually only reserved for popes. Now he has finally returned home. At an emotionally charged ceremony, government and church leaders recalled a man who became archbishop in 1946 after surviving the Nazis' Dachau concentration camp during World War Two. Following the Communist coup in 1948 in then-Czechoslovakia, Beran publicly opposed the new regime. He was put under house arrest and moved by the secret police from village to village. Authorities wanted to cut the ties between him and his flock. The regime jailed thousands of Catholic priests, monks, nuns and active Catholic lay people. Communists also confiscated property and destroyed churches and monasteries as they saw the church and devoted Christians as their arch-enemy. 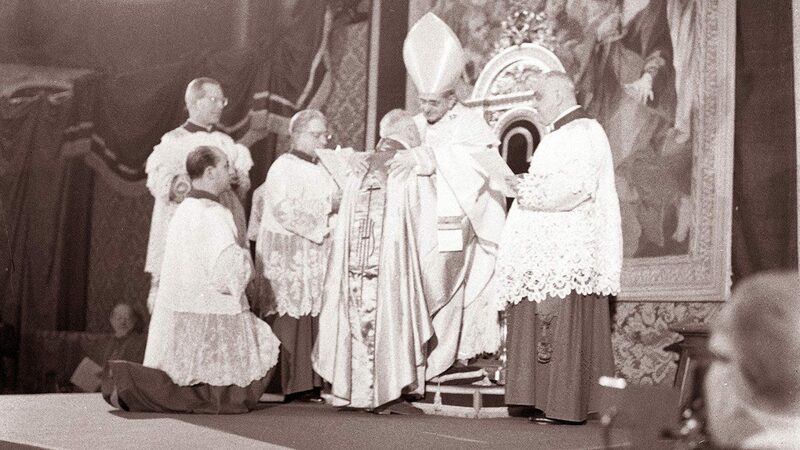 In 1965, Pope Paul VI appointed Beran a cardinal. The Communist government let him leave for Rome. But without the option to return home. He died in 1969 at the age of 80. However, he always wanted to be buried at home one day, explained Stanislav Zeman who is the spokesman for the Prague archdiocese. "Because of the last will of Cardinal Josef Beran, who wanted to be buried in Prague, the current Cardinal, Dominik Duka, asked to fulfill Cardinal Beran’s wish," he told Radio Prague. "In the spirit of this, there were some negotiations with the specific Vatican congregation," Zeman added. In Prague, people can pay their respects until Monday. On Monday, Beran will be buried at St Vitus Cathedral. That's the main Czech church and the seat of the archbishop of Prague, a post which Beran also held during his remarkable life.